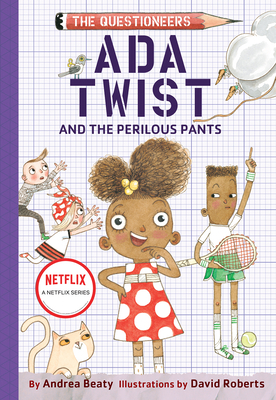 "The Questioneers—Rosie the engineer, Iggy Peck the architect, and Ada the scientist—work together, asking questions like scientists . . . Adventure, humor, and smart, likable characters make for a winning chapter book." "Beaty’s compelling text keeps readers moving like a swift wind through the plot’s twists and turns . . . Roberts’s illustrations, which will be familiar to fans of the picture book series, complement the book’s readability with humorous, detailed artwork . . . A compelling early reader that packs plenty of information into a high-flying adventure."